It’s time to get choosy. From garments to gadgets, check out what you want to buy this fortnight. De Grisogono has now added to its Instrumen to collection a rectangular model with a very large aperture for the date and a new case. It’s a stylish, yet, resolutely masculine timepiece. The new watch offers active and sophisticated men a new automatic clockwork model with a large display. 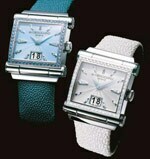 The Grande Collection watch has a polished white gold frame and a white galuchat strap. Fancy a bracelet? Make it a style statement by adding the galuchat cuff from Mirari to your collection. Crafted from rare jewels and unflawed diamonds, the pieces are unique and come in “wave”, “leaf”, “flower” or “wing of an angel”designs. This new LCD from LG is a fashion statement. 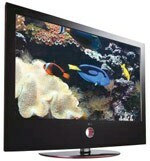 The 47-inch and 42-inch TVs come with full HD (1920 x 1080p) and a dynamic contrast ratio of 50,000:1. A cut-out in the lower part of the bezel serves as a decorative focal point, which is surrounded by red LED lights with a soft-touch sensor, making even turning the TV on or off more appealing. The intelligent sensor senses colour, temperature and illumination of the surroundings. It analyses ambient light and automatically adjusts the screen’s brightness, contrast, colour, sharpness and white balance to optimal levels, reducing eye fatigue. These new shades from Dolce & Gabbana are elegant, sophisticated and come in sparkling designs. The collection includes six unique models for men and women. Rich materials and intricate details define the collection. CKJ has launched a new range of lighter fabrics for both men and women. There is an interplay of natural and organic fabrics throughout the range. Distressed and washed denims create an understated, relaxed look, contrasting with structured, garment-dyed cottons for a tailored feel. The colour palette is varied with washed blues, pale steels, and deep indigo being some of the shades. 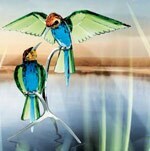 Swarovski has crystallised the most beautiful specimens of flora and birds into collectors’ items. Multicoloured and finely faceted, the crystal creations pay homage to the beauty of nature. Available in different sizes, these new objets d’ art are part of the Crystal Paradise range of creations. Swati Modo has come out with its brand new shoe collection Seren that's colourful and dominated by bold colours. Choose from a wide variety of heels, styles and materials and even a few Swarovski-studded pairs. The Cummerbund and Silver Oxford shoes are the hottest accessories from Gucci’s Spring Summer Collection. Stylish yet classic, the cummerbunds are available in different colours, including graphic multistriped cummerbunds that could be worn on different occasions. The Silver Oxfords in patent leather can be perfectly teamed up with evening wear. Ralph Lauren has launched a new Limited Edition Fragrance for women— Romance Eau Fraîche—a romantic number for the spring-summer season. The fragrance comes with a water lily and lotus whiff, enhancing its musky base with a playful sparkle. The Encircle’ Enjoy your favourite cup of tea with Artd’inox's new tea set, ‘The Encircle’. Inspired by the shape of earth, this piece of art in stainless steel promises to complete the tea-drinking experience and has been created keeping in mind international trends. Its double walled stainless steel cups prevent tea from burning your lips and at the same time keep it refreshing and warm.